Oct. 19, 2016 – WCS is saddened to learn that a park ranger was recently killed in Kahuzi Biega National Park in Democratic Republic of Congo defending critically endangered Grauer's gorillas. The ranger, Munganga Nzonga Jacques, died on 4 October 2016 at the age of 26. He was killed in the Tshivanga region of the park — an area previously believed to be among the safest areas for gorillas. This killing shows that the region continues to suffer from instability. 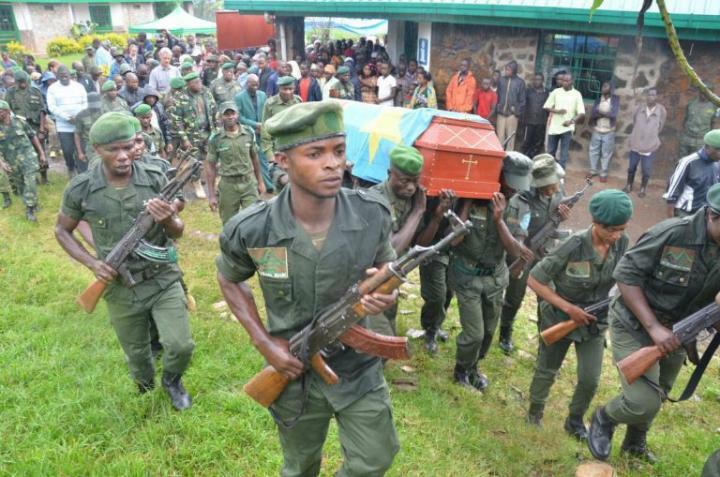 This is the second killing of a ranger in the Kahuzi Biega in the last six months. Said Andrew Plumptre, WCS Senior Conservation Scientist for Africa, "We are very concerned about these increased threats to the rangers and their families and to the protection of these animals."